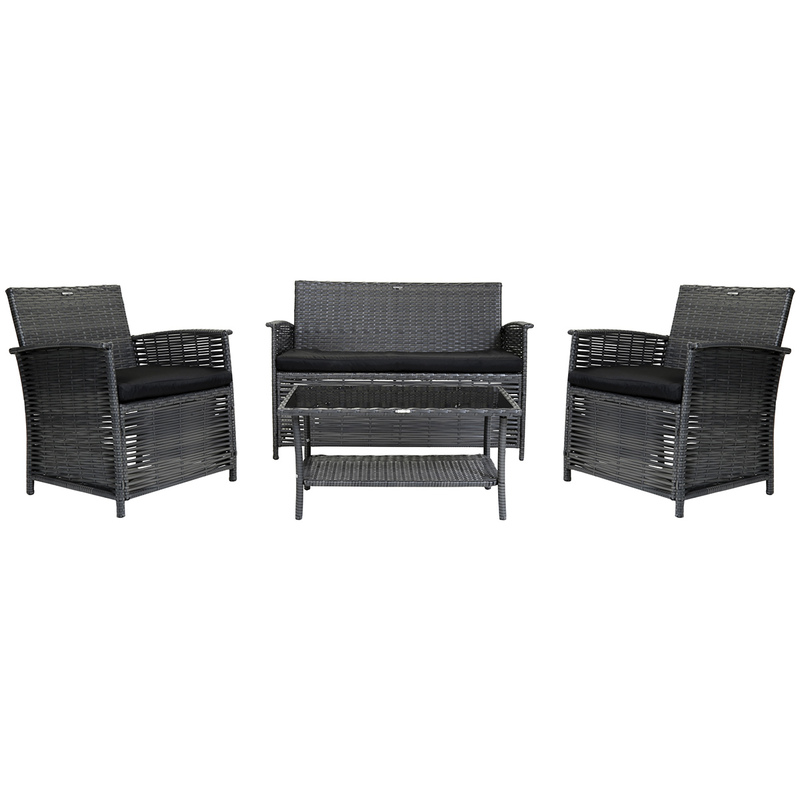 This contemporary rattan furniture set consists of one double sofa, two large chairs and one glass coffee table. 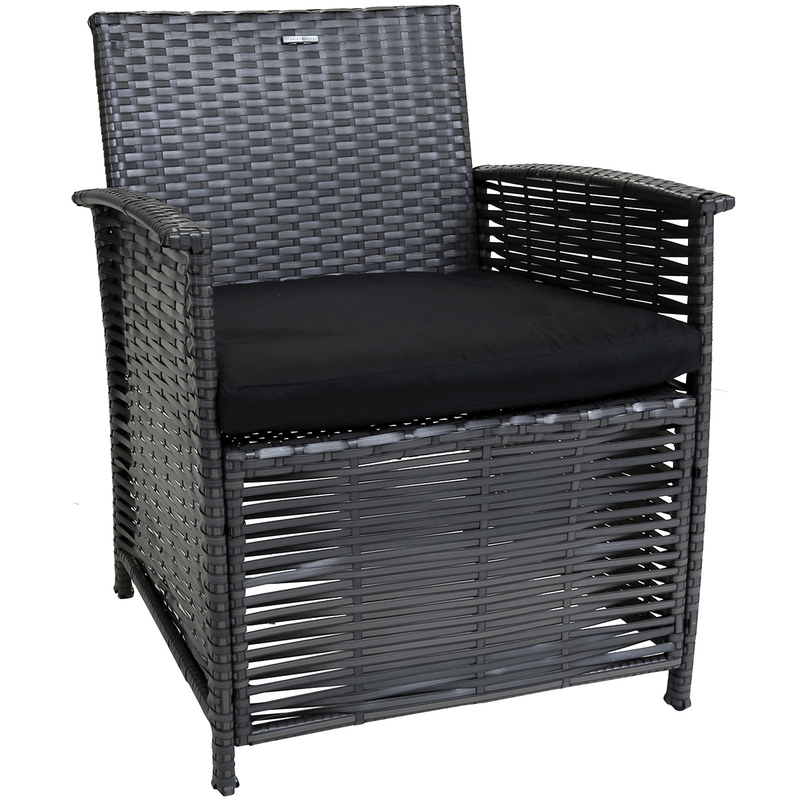 It comes in a modern mixed brown colour with comfortable black seat cushions. 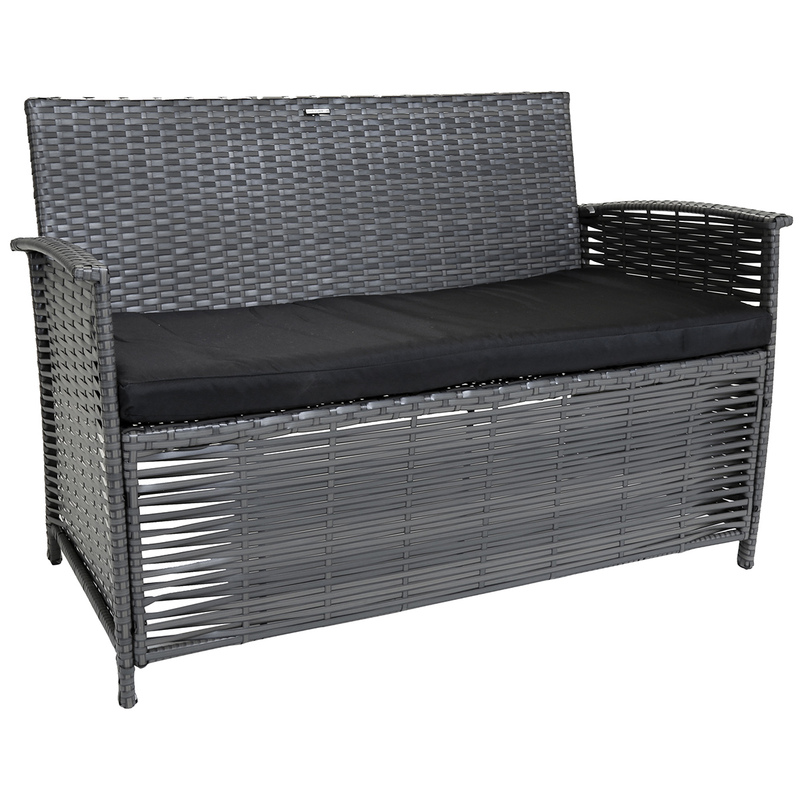 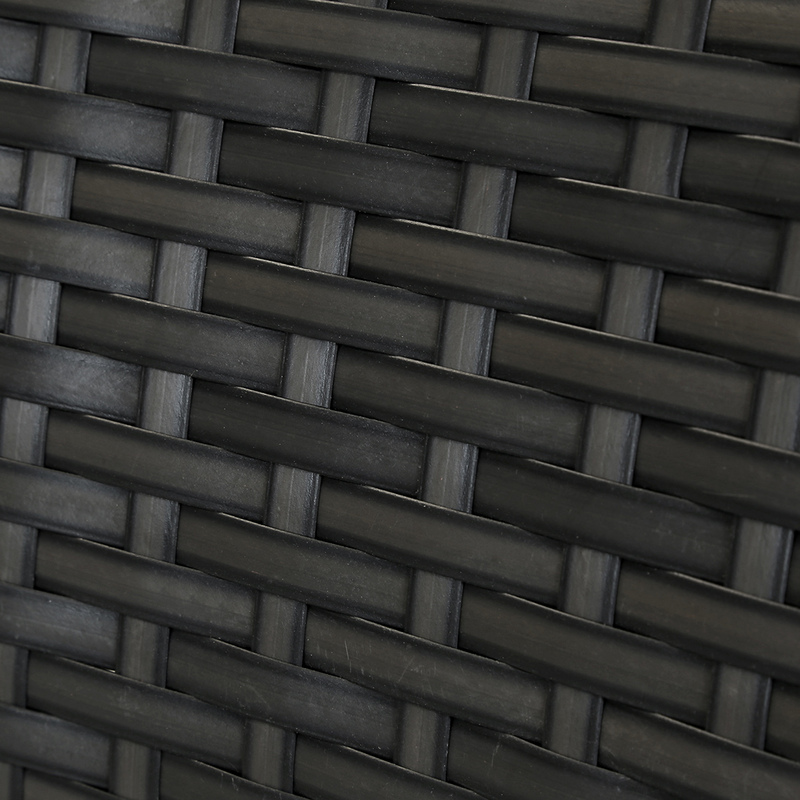 This rattan set is ideal for any size garden, patio, decking or conservatory and can be kept outside all year round as it is weatherproof. 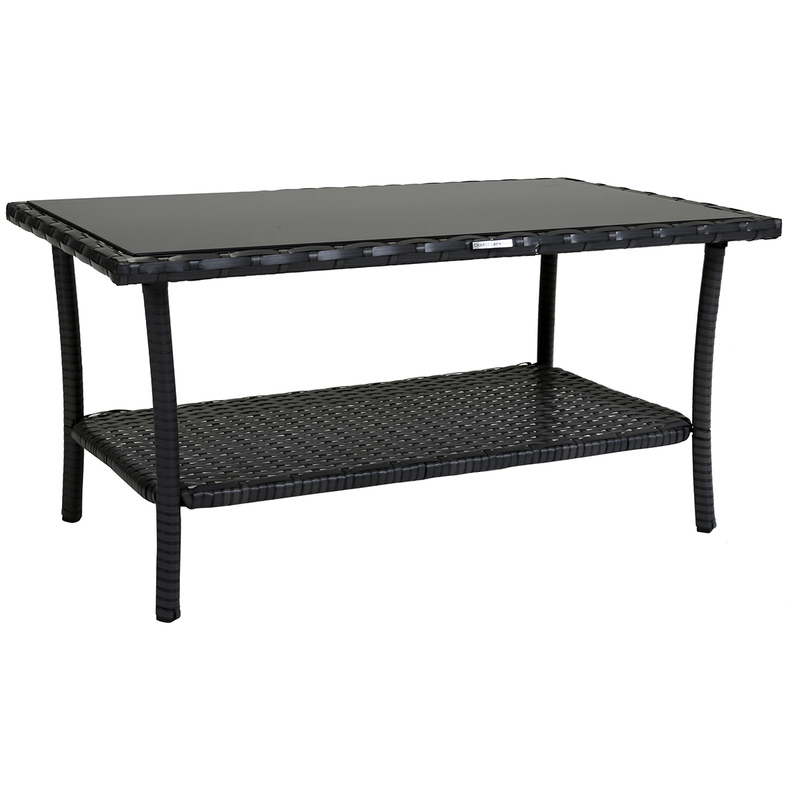 The coffee table features a lower tray to keep your things at hand.